BERLIN, 1931: Sisters raised in a Catholic orphanage, Berni and Grete Metzger are each other's whole world. That is, until life propels them to opposite sides of seedy, splendid, and violent Weimar Berlin. Berni becomes a cigarette girl, a denizen of the cabaret scene alongside her transgender best friend, who is considering a risky gender reassignment surgery. Meanwhile Grete is hired as a maid to a Nazi family, and begins to form a complicated bond with their son. As Germany barrels toward the Third Reich and ruin, one of the sisters must make a devastating choice. SOUTH CAROLINA, 1970: With the recent death of her father, Janeen Moore yearns to know more about her family history, especially the closely guarded story of her mother's youth in Germany. One day she intercepts a letter intended for her mother: a confession written by a German woman, a plea for forgiveness. What role does Janeen's mother play in this story, and why does she seem so distressed by recent news that a former SS officer has resurfaced in America? Fr ulein M. abounds with hidden identities and family secrets. With its multilayered exploration of family ties, hard choices, and the weight of history in our lives, the novel shines light on a brilliant new voice. Caroline Woods teaches fiction writing and composition at Boston University and the Boston Conservatory, and has an MFA in creative writing from BU. Her fiction has been published in Slice Magazine (which nominated her for a Pushcart Prize); LEMON; and 236, BU Creative Writing's literary journal. 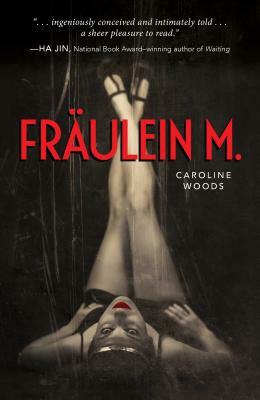 You can learn more about Caroline at www.carolinewoodswriter.com.